If I were to tell you that my IRONMAN story started one day when I decided to go for a run like Forrest Gump, I’d be lying. If I were to tell you I got into long distance racing as a result of philanthropy, starting from 5K runs for charity to running for Hopping 4 A Cure, that would be a lie too.. The real reason I went for my first ‘run’ was a result of envy and inspiration. Growing up, my friend Alex and I had been teammates on various baseball teams over a number of years. Of the two of us, he was always the funny one who played like Babe Ruth (The Great Bambino) and I was the quick base-runner like Alex Rodriguez, without steroids. As time passed, Alex started developing issues with certain body mechanics; from a shaking hand to losing control of his eyelids. 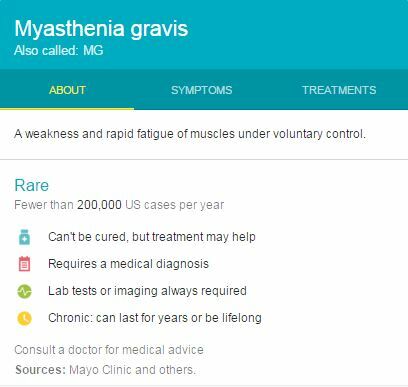 Myasthenia Gravis (MG), a weakness and rapid fatigue of muscles under voluntary control, was the diagnosis. Doctors were not positive on what the future would hold but Alex and his family stayed as positive as possible. As it turned out, one of our old baseball coaches had gotten into long distance running and persuaded Alex to join him on a few runs. Alex got hooked and out of a bet, he signed up for a Half Marathon with his new personal trainer (and old ball coach) to set a goal. Although Doctors said it would be near impossible, the ‘Beastmaster’ himself finished the race and accomplished one of the most difficult challenges of his life. Not only did Alex finish his first Half Marathon, he then signed up for a second. Since then, he has raced and finished over SIX Half Marathons and dozens of smaller races including 5 and 10K’s. Following a conversation with Alex about his first Half Marathon, I was clearly impressed. Then there was a feeling I believe many people have when listening to friends’ successes and milestones. The feeling of comparison. Thoughts in my head were saying ‘If he could do it, so could I‘ and ‘I play Varsity sports and exercise for hours everyday after school, how hard could it be?‘ The next day I brought my thoughts on running to another friend of mine, Gary, and we decided to meet up for a casual run around my neighborhood, then see how far we went. After what seemed like an hour of a running and walking, with each successive step seeming more demanding, we were both surprisingly exhausted as we were coming to the last stretch of the loop. That last stretch was obviously a head-to-head all out sprint with whatever we had left. Once we hit my driveway and the panting subsided, I couldn’t keep my lunch down as it soon sprayed across my front lawn.. At least I won! The kicker: total distance was less than 3 Miles!! It was after this run when I made the mental commitment to sign up for my first Half Marathon. 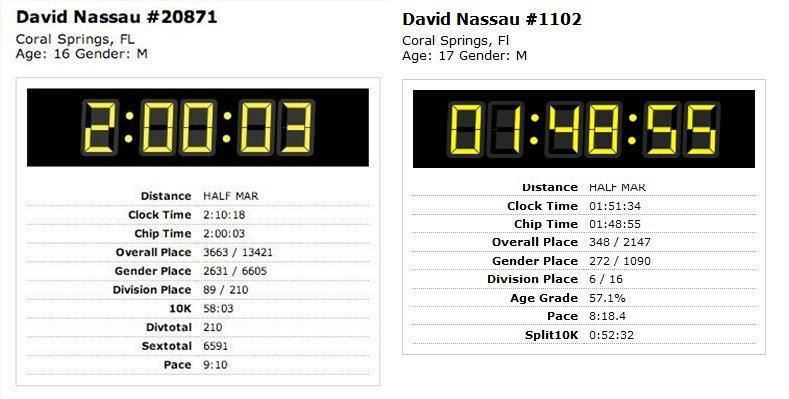 Inspired by Alex and envious of his accomplishment, I signed up for the 2011 Miami ING Half Marathon. My first Half Marathon. On that early Sunday morning, I started that race side-by-side with Alex and our old baseball coach. Truly an awesome experience. With a goal of being under 2 hours, I finished in 2 hours and THREE SECONDS (2:00:03). After training for so long and running for an extended amount of time, this was extremely frustrating.. That one picture I took on the course, the few seconds I stopped to drink a sip of water, a fist bump I gave Alex as we were crossing the start line.. Three seconds was a joke. I signed up for my second Half Marathon within the next two weeks. Nine months later, I finished that Ft. Lauderdale 13.1 Series Half Marathon in 1 Hour 48 Minutes (1:48:55), a 12 minute PR. Only 3 months after that, I ran my first Full Marathon, but that is another story..